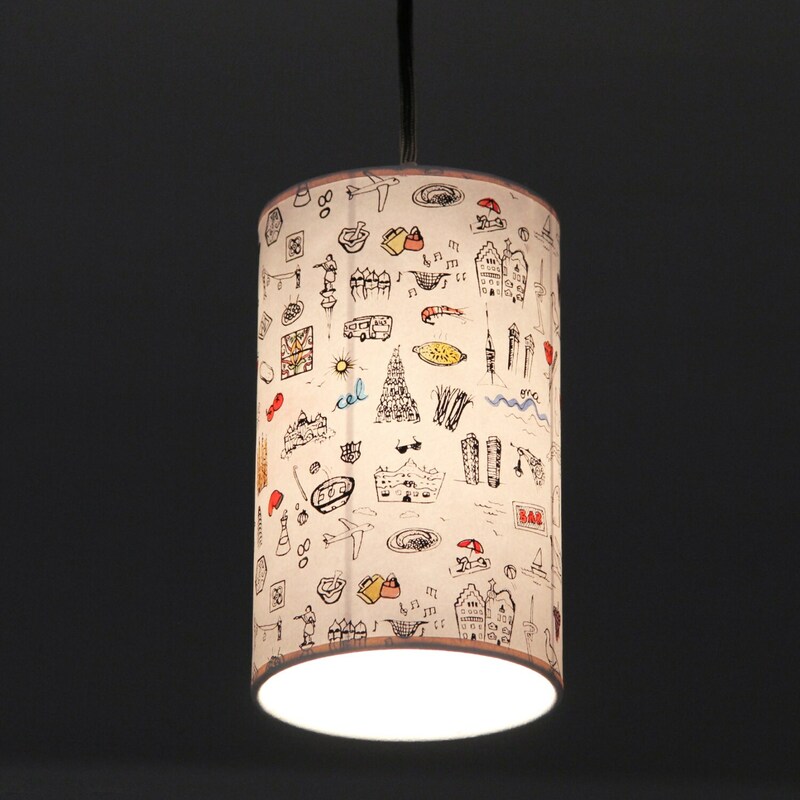 This hanging lamp is one of our creations of the Barcelona Print Collections, inspired by many different elements, anywhere from cooks to architects, all of which are very representative and emblematic in our culture and our city, Barcelona. We created these pendant lamps in our workshop, serigrafing the black lines of the design on paper and later on by painting each detail with various water colors. Afterwards we mount the lamps shade with the stand and there you have it. 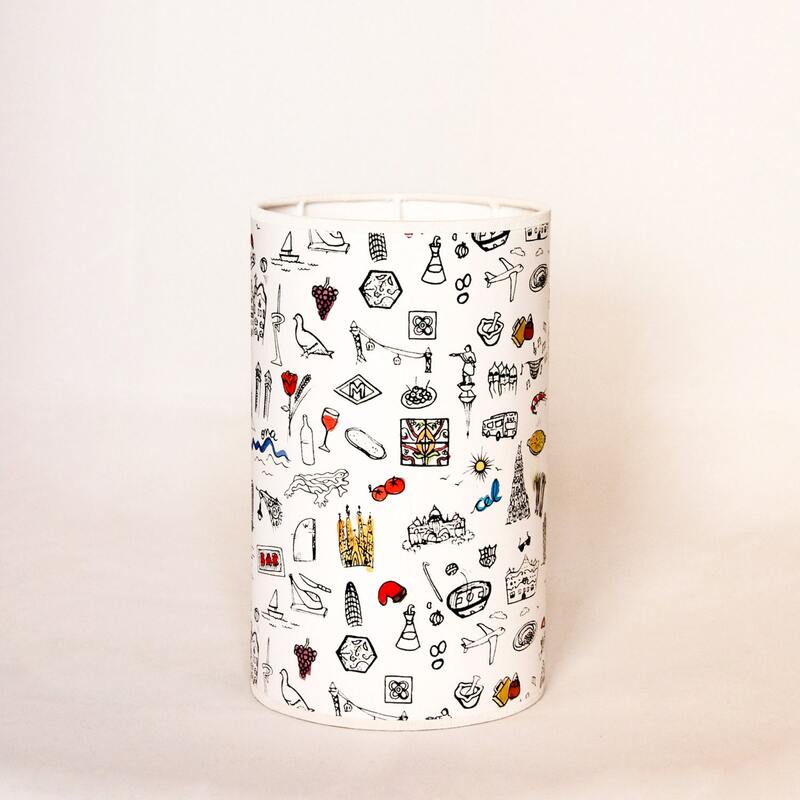 We are delicate when working so that you may take a small piece of Barcelona home with you to decorate any place in you home. The sice of the lamp is 20 cm (7,87 inches) high and 12cm (4,72 inches) in diameter. It stands on 1,5 cm (0.59 inches) legs. The estructure is made os aluminium dipped in white anti-rusting Paint to protect it. It comes with a 1.5 m (59'') white cord with a finial trim to color the ceiling. The bulb is not included. We recommend using a LED or low power consumption. This way you save on your electricity bill and help to protect the environment. Each lamp creation I make is done in my atelier and each one is not identical to the others. My lamps, prints and notebooks are handmade and they could have little differences among them wich give them value and character to the piece.